Zack Farber began his career at Rising Star Baseball Camp as a six year old camper during the summer of 2006. 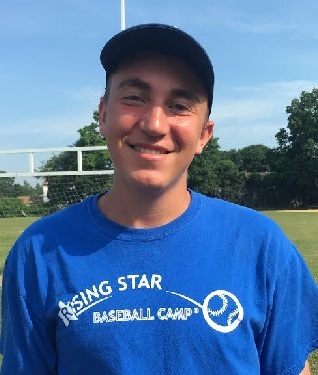 As a pitcher at Fieldston HS in Bronx, NY, Zack brings a wealth of knowledge to campers at Rising Star. His knack for baseball trivia and rules questions is a favorite with campers. Coach Farber won the prestigious Iron Horse Award at camp for his longevity and dedication to bettering himself as a player at camp. He also received a remarkable seven Rising Star Humanitarian Awards for his efforts in fundraising to help less privileged campers attend the camp.